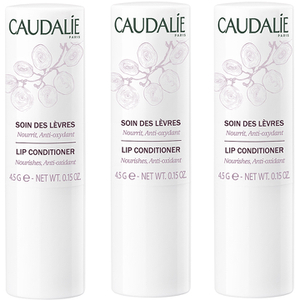 Caudalie Grape Water (75ml) works well on all skin types because it is an incredibly simple toner that contains only grape water, so it works for even the most sensitive of skin types. 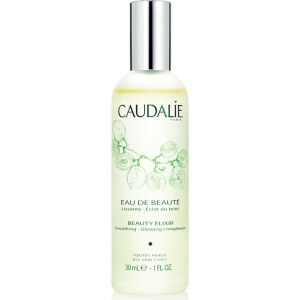 This 100% plant-based soothing toner contains water that is extracted directly from wine grapes at the point of harvest. Your skin will feel refreshed and revitalized with a fresh appearance, without any signs of redness or irritation. Grapes have long been known to contain many beneficial complexes for healthy and rejuvenated skin that looks young and refreshed. Once you try this toner you will be hooked. I prefer toners that actually cleanse your skin a little, which this one does not do (or at least I don't think so). 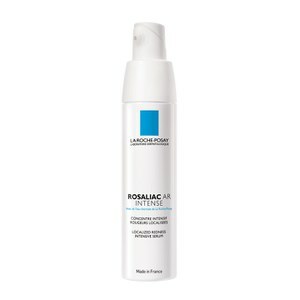 It is truly refreshing though and I use this after my regular, cleaning, toner. Will most likely not buy again, don't really feel the need for it, but the product is not bad at all. It was absolutely amazing! The delivery was fast and the product is worth the price. 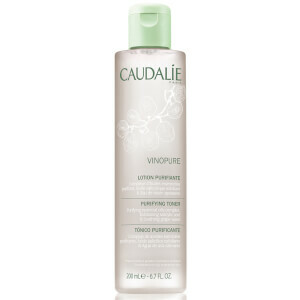 This Caudalie Grape Water is a must for hot summer days. Very refreshing and the smell is awesome. I'm very satisfied, definitely will buy it again.